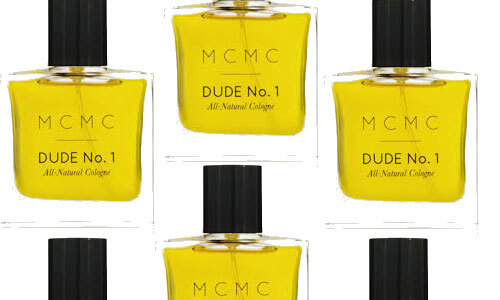 MCMC fragrances debuted a wildly popular beard oil in 2010. Everyone went nutso over the scent - girlfriends included. Because of this pansexual love, they went ahead and made a full-fledged fragrance, DUDE No.1 All-Natural Cologne, for men AND women. Developed in the heart of Brooklyn NY, this fragrance is unique in that it’s 100% all natural botanical, hence the deep yellow color. It is a blend of three woods - Virgina cedarwood, creamy sandalwood, and smoky Haitian vetivier - with accents of spicy ginger and pink peppercorn. This scent brings us to the depths of a forest - it is very woody, green and raw. Hey MCMC, hint hint, a candle of this fragrance during these winter-esque months might need to come to light (harhar) in 2014.